Lagoon Watersports are excited to announce details of the first System 2.0 cable wake park opening on the South Coast this spring. Wake Up Brighton will be operating on Hove Lagoon, Brighton, from 9th April 2011. Riders of all levels aged 8 upwards can wakeboard at Hove Lagoon. Complete beginners must attend a short beginner’s course to learn the basics before using the cable. 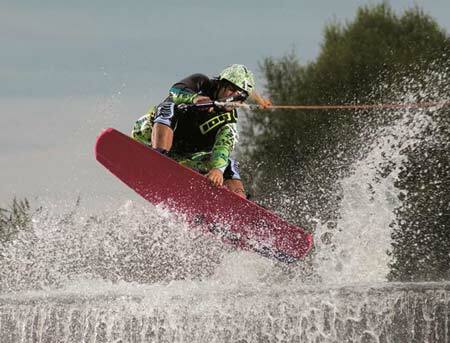 A 2 hour Learn to Wakeboard lesson including all kit and tuition costs £50, individual cable ride sessions are priced at £20 per hour or you can buy a 20 hour pass which works out at £12 per hour. Full tuition and all kit including wetsuits, impact vests, helmets and boards are provided. Call 01273 42 48 42 or go to www.wakeupbrighton.co.uk and book now if you want to be amongst the first riders to wakeboard on Hove Lagoon. Further details and opening times can be found on the website. You can also join the Wake Up Brighton group on Facebook or follow ‘WakeUpBrighton’ on Twitter. Members and water sports enthusiasts can still sail, windsurf, kayak and stand up paddle board on Hove Lagoon too, please go to www.lagoonwatersports.co.uk for more information about Lagoon Watersports, events, courses and membership options.